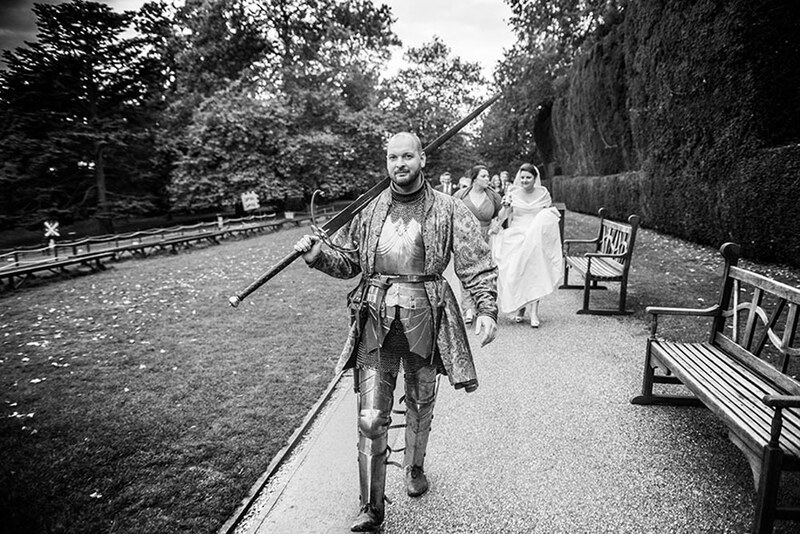 If you are looking for a wedding venue that will really blow you away then Warwick Castle could be just the place. 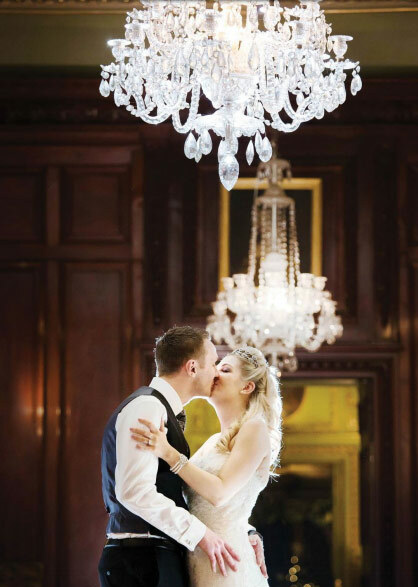 This stunning piece of history provides you with everything for a wonderful celebration. 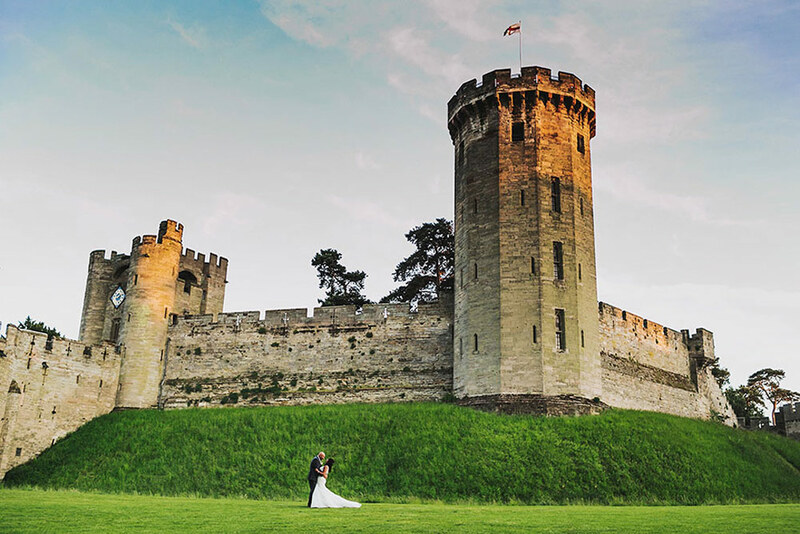 Warwick Castle is the idyllic background for your fairytale wedding. 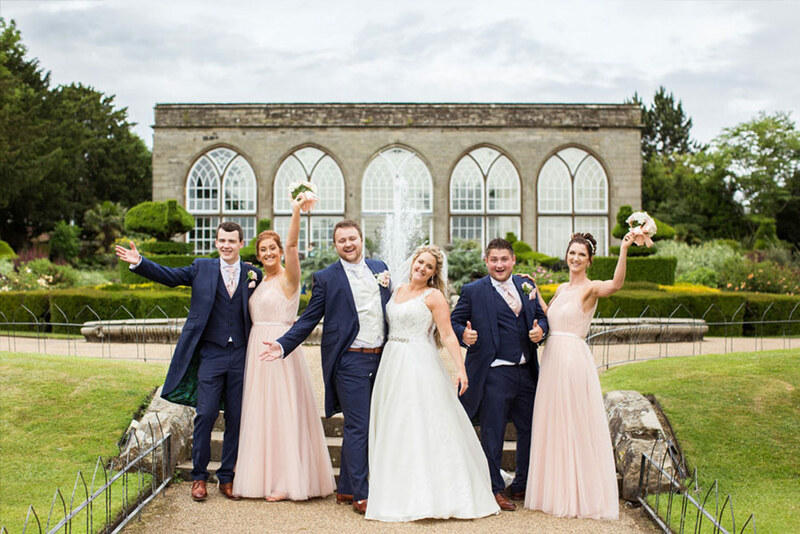 With a selection of rooms available for your ceremony, reception and wedding breakfast you can be sure that the team at Warwick will ensure you have a truly unforgettable wedding experience. 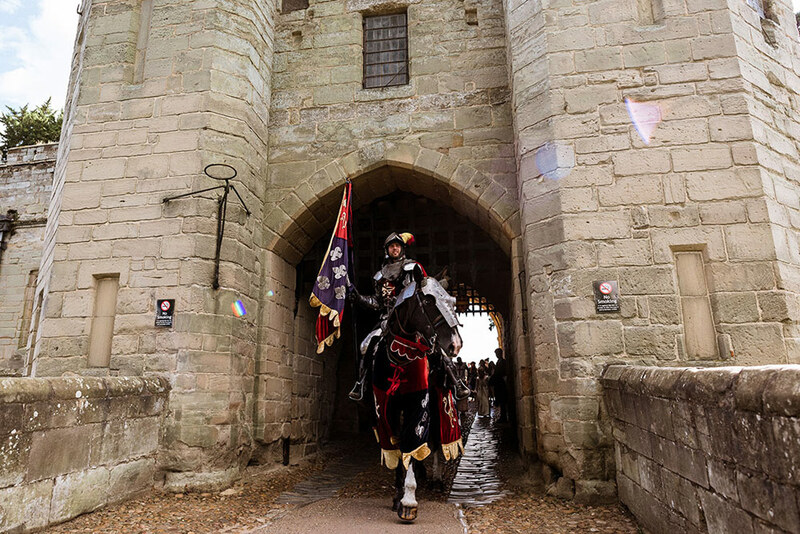 Built over 1000 years ago, Warwick Castle has undergone many changes throughout its history including a besiege, an attack, a fire and numerous changes to the surrounding landscape. Withstanding all these events, the castle is beautiful to behold and its history adds to the impressive sense of grandeur that you experience as you approach. The castle is now part of the Merlin Entertainments Group and is widely visited by numerous people each year who can learn about the castle and enjoy everything it has to offer. 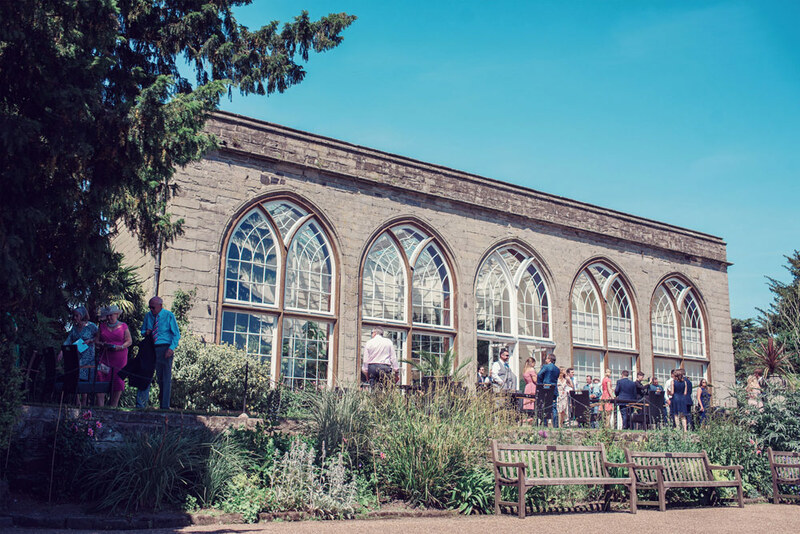 For your wedding you will be given a large choice of rooms and an experienced events team will guide you through the whole process to ensure everything on the day runs perfectly. 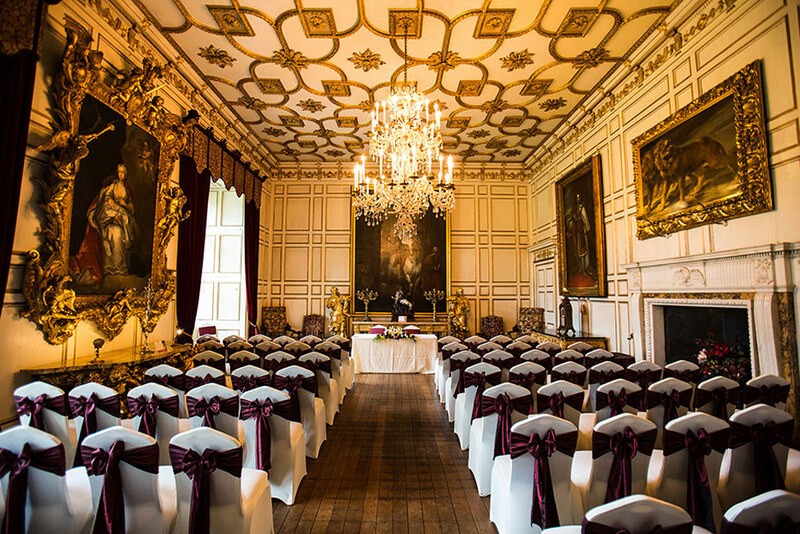 This is a beautifully furnished room that is licensed for civil ceremonies and is perfect for an intimate gathering of your closest friends and family. 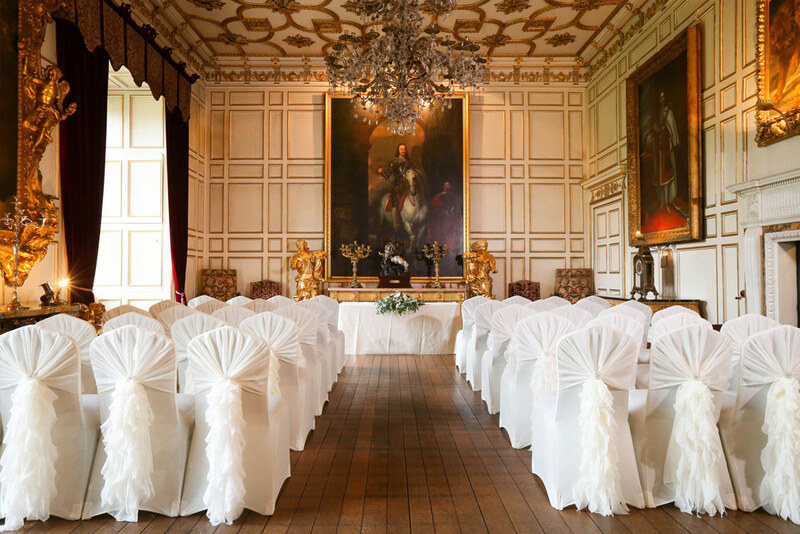 Another strikingly decorated room, the state dining room has hosted not only weddings but also great monarchs including Her Majesty Queen Elizabeth II. 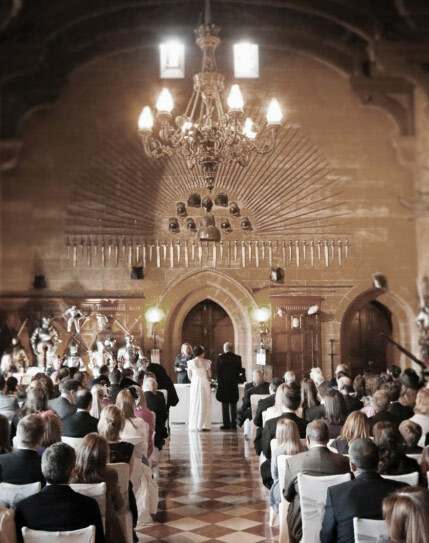 This incredibly impressive hall is at the centre of the castle and is adorned with historic relics and beautiful décor which will add to an already awe-inspiring wedding venue. 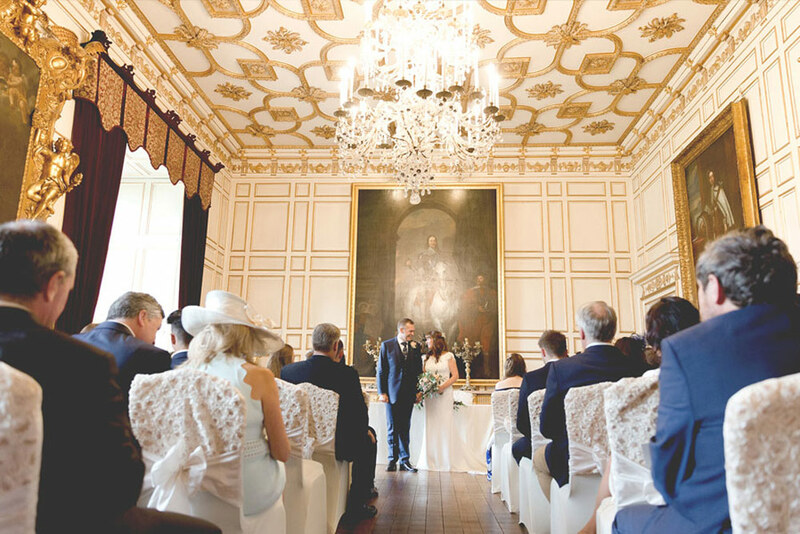 Once a 17th century ballroom, this is a beautiful space to host a wedding ceremony. 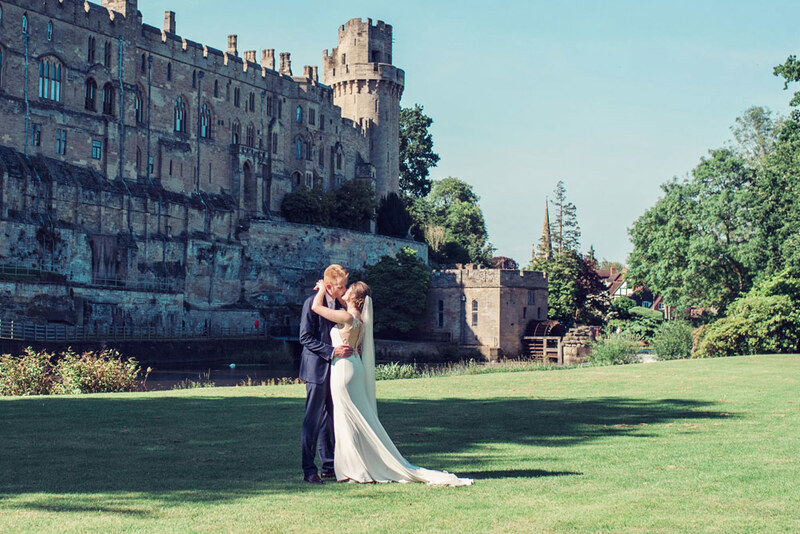 There is also plenty of outdoor space for you to erect a marquee so that you can take in some of the break-taking grounds with the castle providing the perfect backdrop. 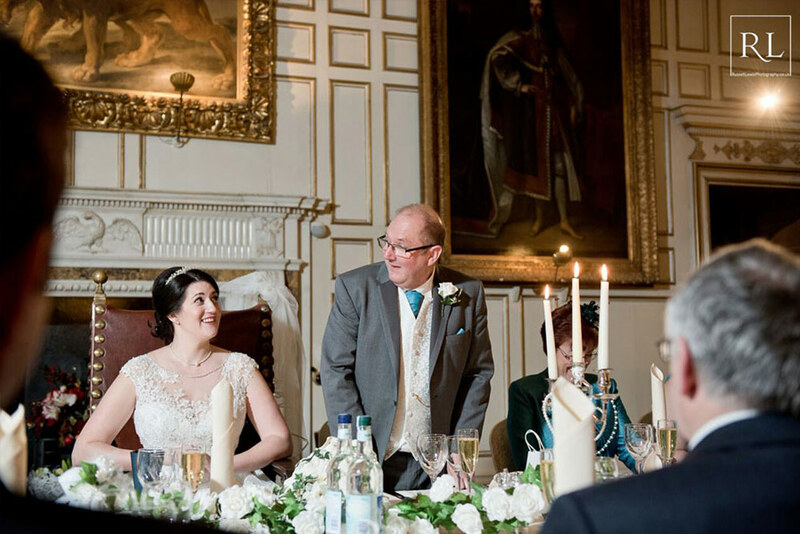 Warwick Castle will provide you with a team of experienced and dedicated chefs that can create the perfect wedding breakfast for your special day. Using the best quality food, the chefs will invite you to a menu tasting to ensure that you are completely happy with your choices. 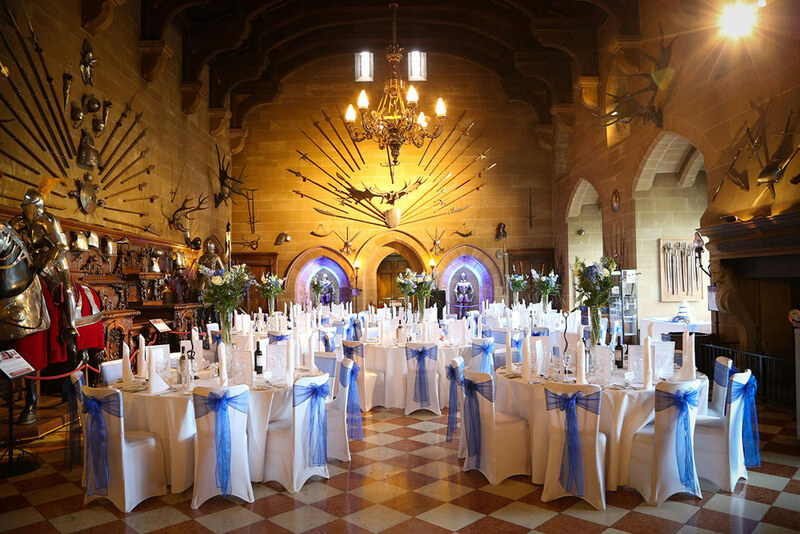 For something a little different you can even have a Medieval banquet for your wedding feast to really embrace the essence of this magnificent castle. There are two prodigious Tower suites available to the newlyweds which are equipped with everything you could wish for on your perfect wedding night. You do not have to worry about your guests getting home either as there are glamping and lodge facilities available in a picturesque woodland glade. 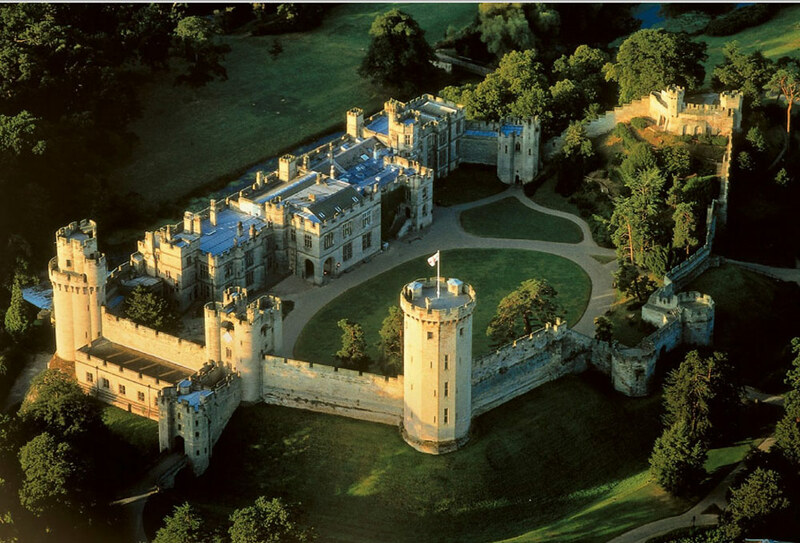 If you would like to find out more about Warwick Castle, click on the buttons below and to the side of this listing for more details. If we could do it all again tomorrow at Warwick Castle we would. The Events Team blew our minds with how thoughtful, amenable and capable they were. Our planning was a breeze thanks to them, the venue is breathtaking and we felt like VIPs from start to finish. Just magical. Absolutely everything from start to finish on the day was incredibly well organised. 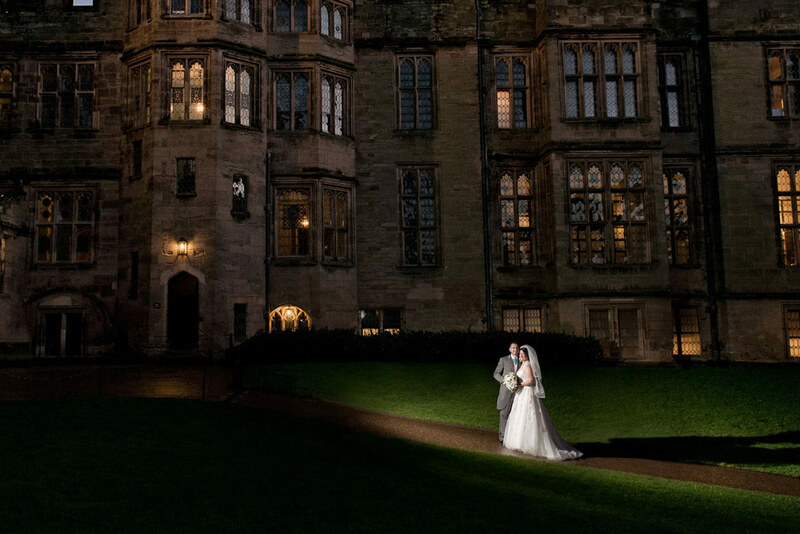 The venue is completely stunning, all our guests said to us what an amazing venue it is. All the staff were attentive and happy, it made us feel so welcome. 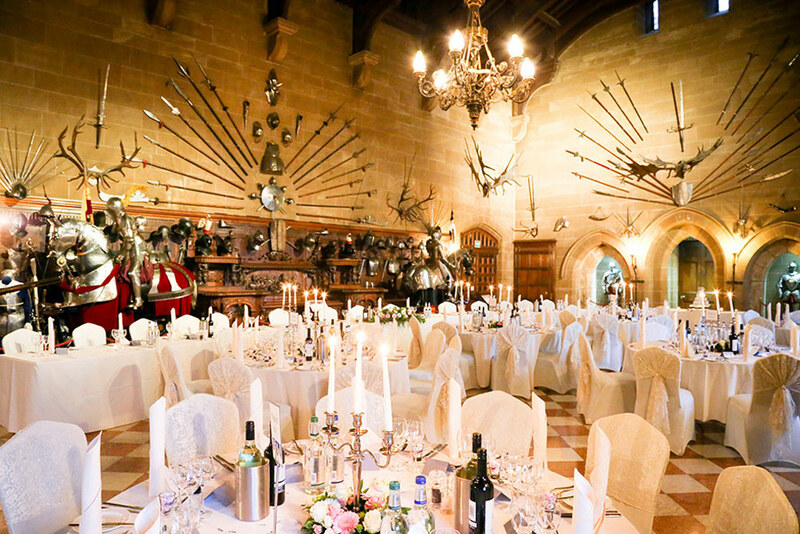 All the details really made it - Sir Phillip, the sword, the thrones, we just couldn't have asked for more. Our wedding was the most enjoyable day of my (and our) life! Every moment of the day from start to finish was just amazing, I wish we could do it all over again, all of our guests were totally and genuinely blown away by the whole day. Absolutely awesome from start to finish. 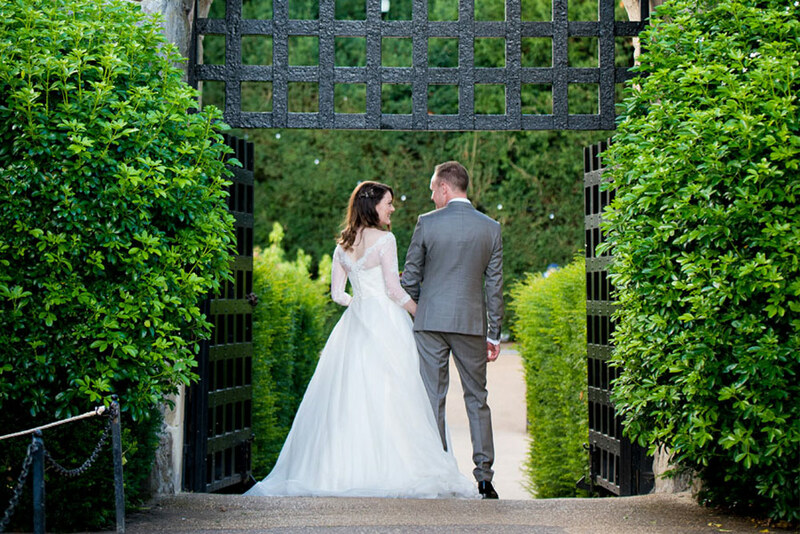 We were made to feel so special every step of the way, nothing was too much trouble and the team did so much for us that we didn't find the planning stressful at all, which is quite something when you see how stressful wedding planning can be. We can't thank the team, particularly Becky enough. We had the most amazing day and there are not enough thank yous in the world. The whole day was amazing. The whole experience from start to finish was well executed and has helped create a day that we will never forget. The staff bent over backwards to help and were very attentive, which have us the personal and relaxed day we wanted. I cannot rate this experience highly enough. 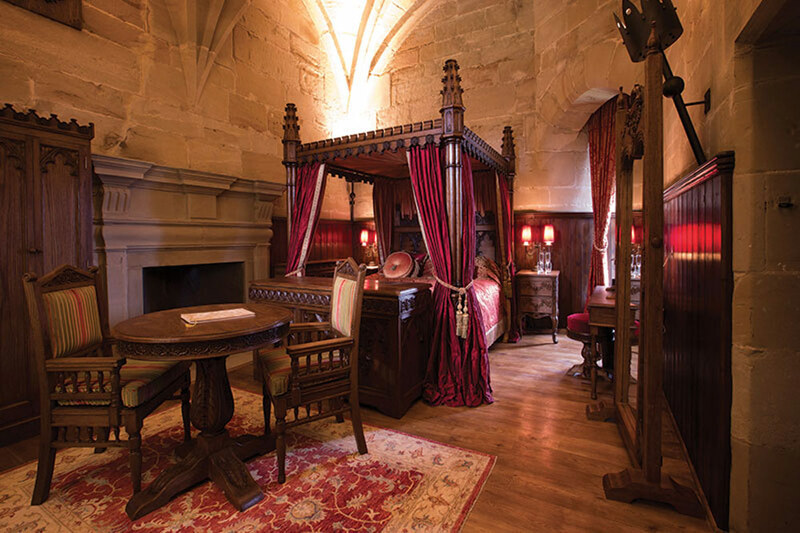 Let others know what you think of Warwick Castle by giving a star rating and a small review.